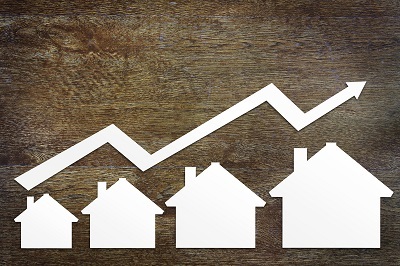 The housing market will experience strong growth in the next decade, according to a research report from the Mortgage Bankers Association. That is good news for the mortgage industry and Notary Signing Agents. “By 2024, demographic and economic changes will bring what could be one of the largest expansions in the history of the U.S. housing market — 15.9 million additional households,” the MBA report notes. Most of that growth will come from baby boomers and millennials. The MBA estimates that up to 80 percent of these new households will become homeowners. Historically, people become much more likely to buy homes as they age. As a result, the number of homeowners should increase as the baby boom and millennial generations age. In addition, homeownership rates should bounce back to traditional levels as the housing market recovers from the Great Recession. For NSAs, the report suggests that loans signings will remain a strong part of their business offerings. It also justifies making the ongoing investment in training and certifications designed to keep up with the growing expectations of the mortgage lending industry. NSAs who are bi-lingual or multi-lingual will find those language skills helpful. According to the report, nearly half of the new households are expected to come from the Hispanic and Asian communities. If you speak other languages, make sure to update your profile on SigningAgent.com with the information. Where did you get the information "By 2024, demographic and economic changes will bring what could be one of the largest expansions in the history of the U.S. housing market.....Most of that growth will come from baby boomers" - - Seriously - Baby Boomers in 2024 will be 60 to 78 years old, an age at which they are usually well established in the home they will stay in for the rest of their lives. Also, your paragraph 3, starting with "Most of that growth", doesn't make much sense. "Historically, people become much more likely to buy homes as the age" - as the age what? You must have published this one in a hurry. Thank you for bringing this typo to our attention. We've corrected it. Have a good day!